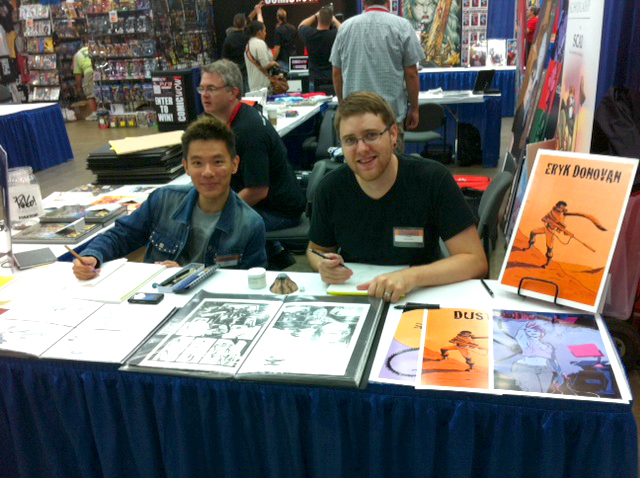 Eryk Donovan and Nicky Soh were interviewed by ComicWow! at the Baltimore Comic-Con. Way to represent, guys! We'd like to thank Marc Nathan, Brad Tree and all the generous folks at the Baltimore Comic-Con for their continued support and unparalleled hospitality this past weekend. 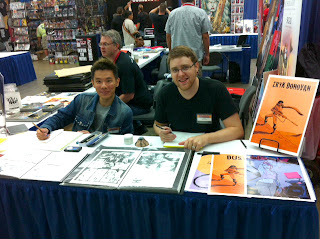 This year, they not only donated space for us to set up a booth for The Mike Wieringo Scholarship Fund, they also made room for our two most recent scholarship recipients, Nicky Soh and Eryk Donovan (above). Nicky and Eryk were the main attraction at the booth, drawing crowds all weekend, including Eryk's proud parents. 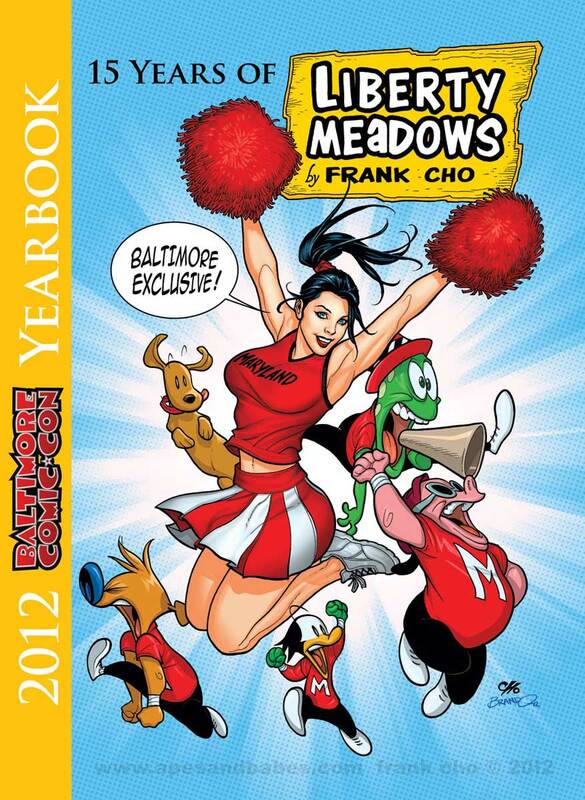 Nicky's and Eryk's work was also included in the first Baltimore Comic-Con Annual which featured interpretations of Frank Cho's LIBERTY MEADOWS characters by such comic industry luminaries as Jose Luis Garcia Lopez and Mark Schulz. Thanks to everyone who came out and supported the fund with purchases and donations. The fund continues to grow every year because of you.